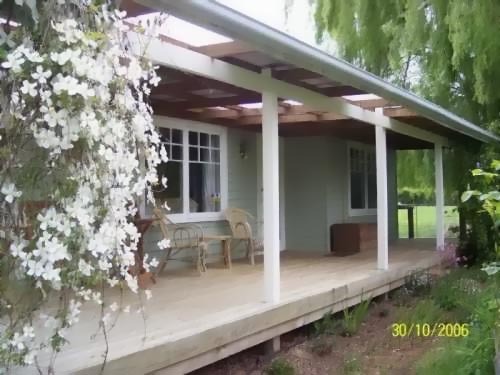 Escape to your own farm cottage on the banks of the River Ouse in Southern Central Tasmania. The spacious and sunny cottage is surrounded by old English style gardens that form part of "Cawood"-a National Trust Classified farming property (surrounded by history & 5 kms river frontage). Established in Circa 1824. "Cawood" provides a unique opportunity for you and your family to enjoy the beauty of this historic farming property. You can take a walk, spot a platypus, chase a trout or swing a racquet. Take a swim in the river or just put your feet up, relax and enjoy the peace & quiet. Cawood Cottage is a fully equipped self-contained farm cottage accommodation.Queen-size or 2 single beds twin share available. Fully Self Contained and equipped Farm Cottage for 4 Adults, Queensize and 2 singles twin Share.